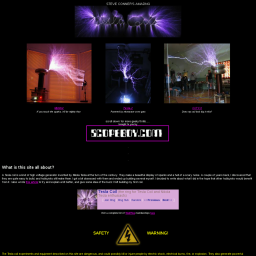 A great technical description of how tesla coils work. 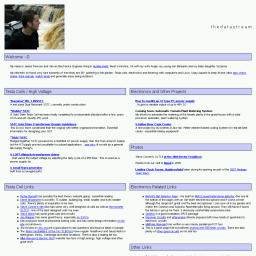 Vital reading before making your first coil. 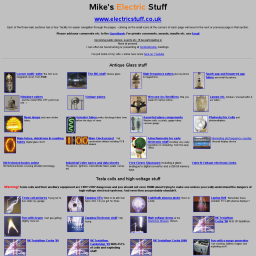 Mikes Electric Stuff, Loads of information on Teslacoils and High voltage equipment and much more. 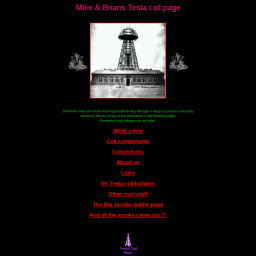 Mike Tucknott and Brian Le Page’s tesla coil pages. The BM series of coils. Large and varied tesla coils from Alan Sharp. From larg classic coils to some really interesting solid state coils. 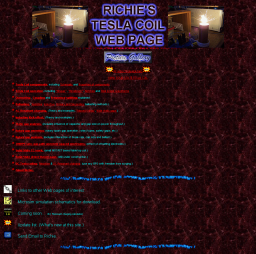 Dave Kearly’s Tesla coil pages. 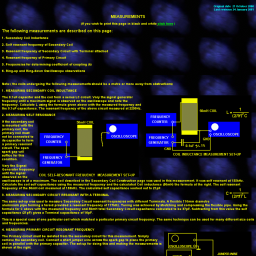 Terra labs, how to build a small tesla coil. 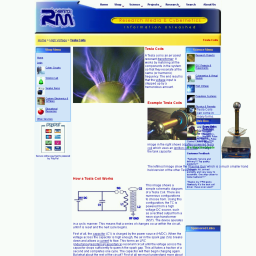 Many high voltage projects and a description of a couple of tesla coils. 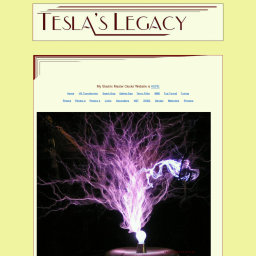 Details of the construction of a tesla coil with expanations and some great illustrations. 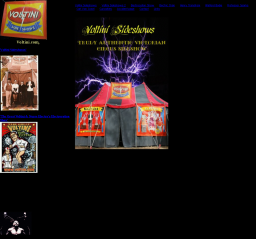 Tesla coil based theratrical side shows. 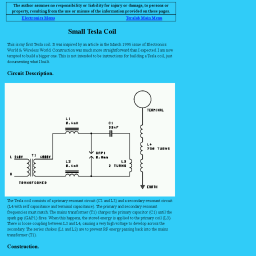 Tesla Coils High voltage and SSTC gate drive transformer design guidelines.